There will be days when you get just plain tired of what seems to be the meaningless fluff people tell you about how things will get better and change is on the way. And you want to yell out, NO IT WILL NOT! There will be days when you wonder if anything you do will even work and why on earth do you keep bothering to try. There will be days when you feel like handing in the towel. You will want to surrender and decide that it is just not worth the trouble. You settle into a comfortable life, knowing all the time that you have just given up. And yet it seems easier to do that than to keep on fighting. There will be days when everyone around you keeps telling you to give it up. You can see the pity in their eyes as they look at you pushing, battling, creating. They tell you stories of their hey day – the times when they had passion like you and how it all came to nothing and they had to settle down to a normal life and just get on with things. And yes, you will be tempted to stop, to give up on believing, to quit, lie down, roll over and let failure take its course. Because deeper inside you is the quiet knowledge that you are created to live a bigger life than you are living currently. You know you have already come such a long way from where you used to be and you just cannot give up now. You know that you must not give into the whispering in the doubtful place in your head because then all you will have are regrets about all the things you could have done if you had just stayed the course. Listen, Warrior, this trip you are on will take everything you have in order to stay on course. There will be distractions and it takes a certain kind of person to decide to be wealthy and then stay on the journey until it manifests in the flesh. You are that kind of person and you must join in with other people just like you. Stop trying to convince the masses around you that your way is the right way. Find people who already think it and join in with them. Managing your mind is one of the things that will make or break you – Make no mistake about it! And whilst you are doing that, you must take immense action! Even when you think you cannot, you just MUST! 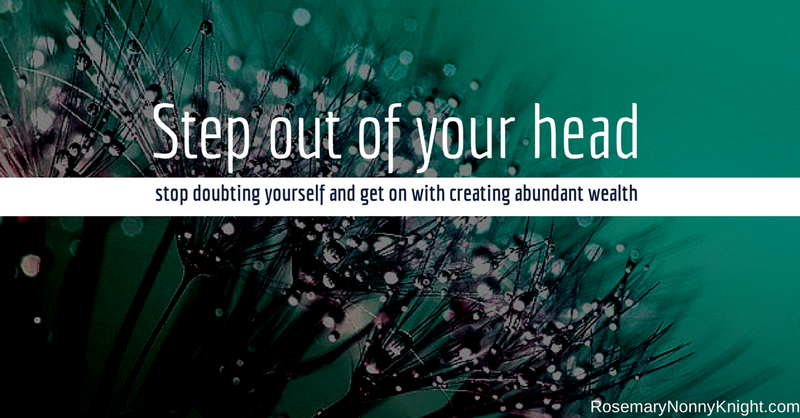 2 – Take immense action regardless of what your inner negative chatter is saying. You cannot be a lonely warrior and you cannot be a lazy warrior. You cannot be a wealthy warrior when you are surrounded by sheep who keep influencing you to think less of yourself and you cannot be a wealthy warrior if you keep waiting for someone else to do the work for you. You make the choice to put yourself in a place that empowers you. The weak, the ones who make nothing happen are the ones who pretend they can do it all themselves. The leaders, the warriors – they find a pack to hang with. A pack that demands that they be the best. A pack that does not allow them to make excuses. A pack that spurs them on. b) The League of Warriors – For those who have tasted success but are ready now to take it to another level – This is challenging, this is demanding but if you want to explode your income and you are ready to fight for the life you want, then TLoW is for you – You have to send me a message to get into this one! Info @ Rosemary nonny knight .com without all the spaces. Others offer you other options as well. 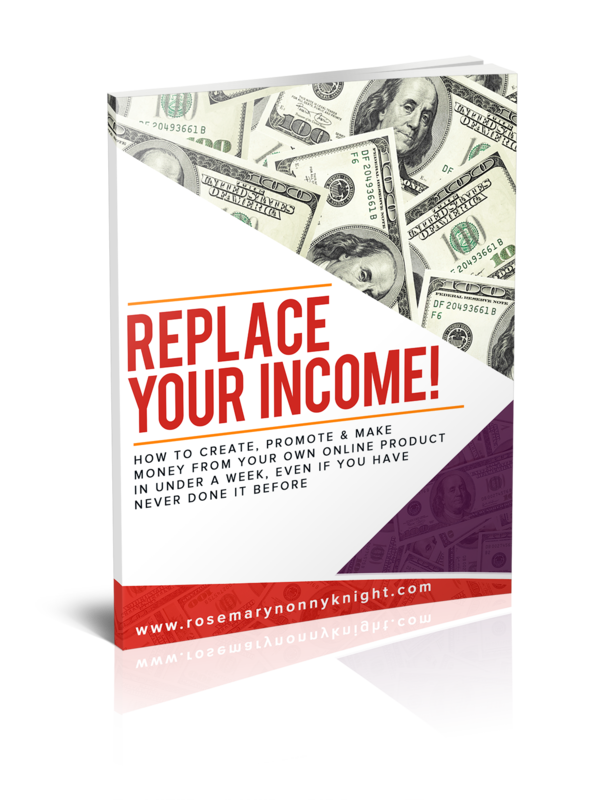 Find an option that causes you to explode your income and fight for the life you want. No more waiting! It is time to move!